ISRSS-HMIS: a total solution for the Hospital Management needs. 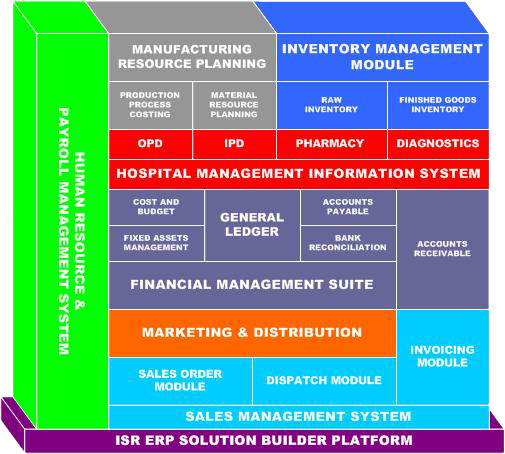 ISRSS-ERP: a total solution for the Financial Management needs. ISRSS-MRP & MRP II: solution for the Production control and Manufacturing. ISRSS Marketing/ Sales & Distribution application with integrated Financial Management. Suite a complete solution for the Supply Chain and Customer Relationship Management. ISRSS-MRM application software a state of the art solution for shipping companies/business.